We made the best mushroom pappardelle we have had recently for a quick weeknight dinner and can’t wait to make it again. Mushrooms are one of our go-to ingredients for super-satisfying vegetarian dinners. It’s really easy to make, comes together quickly, and you can make it any time of year with whatever mushrooms are in season (we used cremini, but it would be great with baby portabella, maybe shaved morels, and amazing with porcinis). We especially love vegetable-based dishes that are hearty enough to stand up to red wine (we tend toward reds). This is that type of recipe! Pappardelle is a wide, flat, egg-based noodle. We love how thick sauces and ragus stick to it. 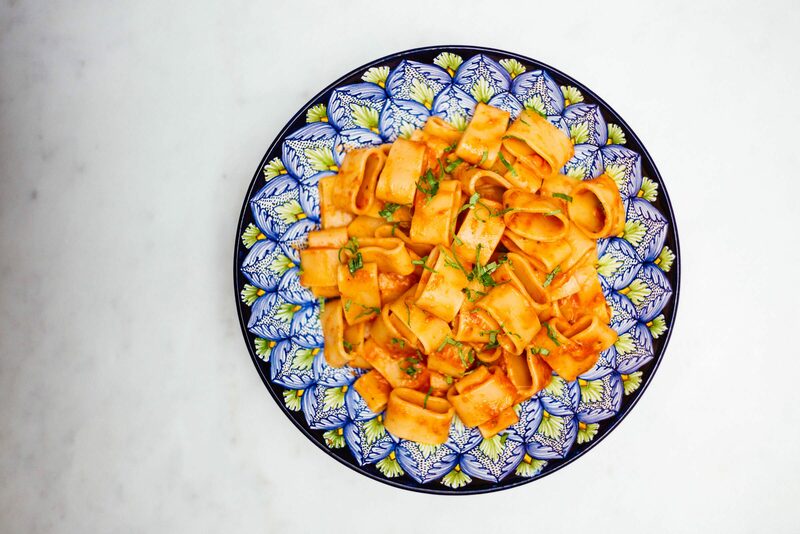 We used this specific pappardelle and it was really good–we would definitely use it again. It cooks really quickly (about 5 minutes), so have everything else ready to go and the table set before you drop the pasta in the pot. Use a large enough stock pot or pasta pot to allow the pasta to move freely (it’s big), and make sure to salt the water so it tastes like the ocean. We use this sea salt since we’ve found it’s more flavorful than kosher salt or processed sea salt. For the sauce, start with one batch of bechamel sauce. You can make this a day or two ahead of time and keep it in the refrigerator. Finely dice a shallot according to the instructions here. Clean your mushrooms by wiping them with a damp paper towel. If they are really dirty, you may have to submerge them but we typically avoid it. Using a sharp utility knife (our favorites are this one, this one, and this one), cut the mushrooms into even size slices. While you’re cutting things, you might as well chop a handful of parsley (Italian flat-leaf, not curly!). For this task we use a chef knife like this, this, or this one. To make the sauce, heat a large skillet (use stainless steel for this, not cast iron) over medium heat and add butter. When the butter is melted and hot, add the shallot and cook until translucent, then add the mushroom slices and cook, stirring frequently, until they release their liquid and it evaporates. Add about one cup of the bechamel and keep warm over low heat. Salt and pepper to taste. At this point you can cook the pasta for one minute less than the package instructions indicate. When the timer goes off, move it from the boiling water into the sauce. We just use basic tongs and move it quickly in batches. Let the pasta simmer for about a minute in the sauce, then remove the pan from the heat, toss in the chopped parsley, and adjust the seasoning if necessary. If you want to enhance the mushroom flavor even more, you could sprinkle in some truffle salt (we’ve tried this one and it’s great). We served ours on these ceramic plates from Anthropologie. We love the color. We also think it would present especially nicely on something rustic like these, these, or these. 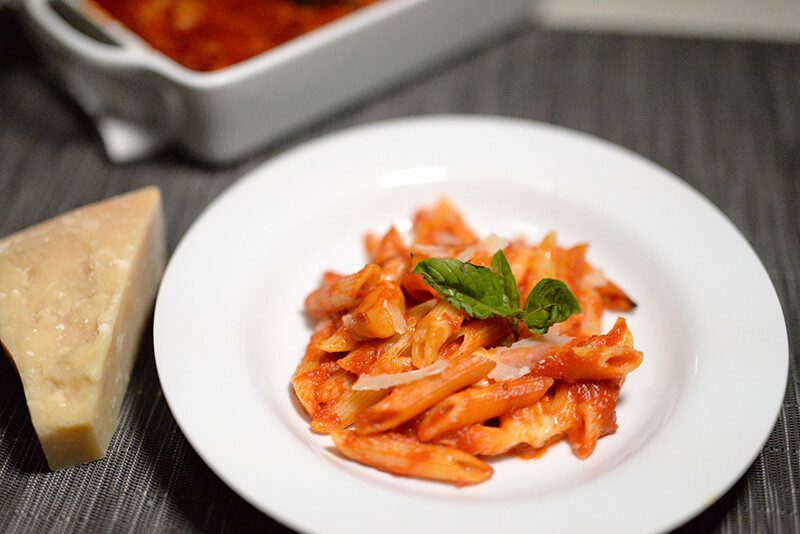 Either way we suggest topping with some freshly grated Grana Padano cheese c/o. Bring a pot of heavily salted water to a boil. Meanwhile, heat a 12" skillet over medium heat and add the butter. When the butter is hot, add the shallot and cook until translucent, then add the mushrooms and cook, stirring frequently, until the mushrooms release their liquid and it evaporates. Add 1 cup of bechamel sauce to the pan and reduce the heat to low. Simmer until warmed through and season with salt and pepper. 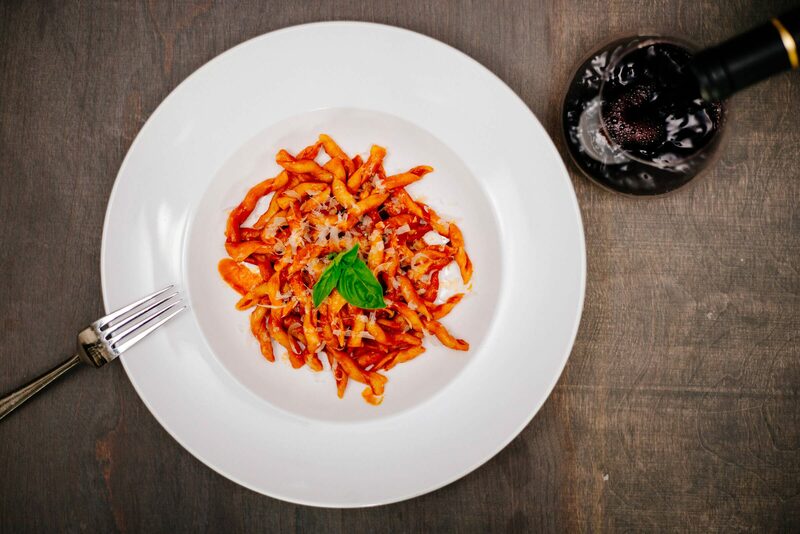 When ready to serve, drop the pasta in the boiling water and cook for one minute less than the package instructions. Move the cooked pasta from the water to the skillet and simmer for one minute. Remove from heat, stir in chopped parsley, and adjust seasoning to taste. Finish with freshly grated Grana Padano cheese. Made this tonight and it was delicious! The bechamel sauce was so easy and flavorful. We used a mixed mushroom medley instead of one varietal, which worked really well. Love these quick weeknight meal options! Thanks, Gina. Loved that you tried the mushroom pappardelle! We like to play around with recipes too, so a mushroom medley is a great idea and perfect addition. It’s amazing to see how many different types of mushrooms are out there and the different flavors they add!